Cyclosorus unitus (L.) Ching, Bull. Fan Mem. Inst. Biol. 8: 192. 1938; Tardieu & C.Chr., Fl. Indo-Chine 7(2): 396. 1941; Holttum, Rev. Fl. Malaya ed. 1, 2: 260, f. 1955 [‘1954’]. – Polypodium unitum L., Syst. Nat. ed. 10, 2: 1362. 1759. 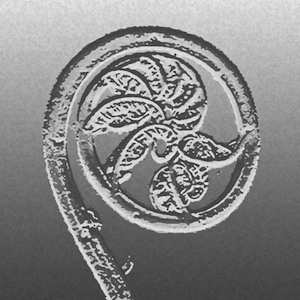 – Nephrodium unitum (L.) R.Br., Prod. : 148. 1810; Bedd., Handb. Ferns Brit. India: 268. 1883. – Thelypteris unita (L.) C.V.Morton, Amer. Fern J. 49: 113. 1959; Tagawa & K.Iwats., Acta Phytotax. Geobot. 25: 16. 1971; Tagawa & K.Iwats., Fl. Thailand 3: 415. 1988. – Sphaerostephanos unitus (L.) Holttum, J. S. Afr. Bot. 40: 165. 1974; Holttum, Kalikasan 4: 63. 1975; Holttum, Fl. Males., Ser. II, Pterid. 1: 477. 1982 [‘1981’]; Boonkerd & Pollawatn, Pterid. Thailand: 230. 2000. Rhizome long creeping, about 3 mm diam. ; scales brown to paler, membranous, up to 5 by 1.5 mm. Stipes 26–60 cm long to first full-sized pinnae, 10–20 cm to first reduced pinnae, scaly and hairy near base, bearing extremely reduced pinnae on upper portion. Laminae oblong-lanceolate, gradually narrowing downwards, 25–63 by 13–30 cm, acute at apex, with 21–38 pairs of pinnae; rachis densely hairy throughout; lower pinnae reduced to auricles, middle pinnae sessile, patent, linear-lanceolate gradually narrowing towards long-acuminate apex, 7.5–16.5 by 0.8–1.5 cm, lobed 1/5–1/4 way towards costa; segments subdeltoid, acute to aciculate at apex, entire, coriaceous, pubescent on lower surface, costa underneath densely hairy with short and somewhat appressed hairs; veins pinnate, strongly raised below, not raised above, glandular. Sori medial; indusia sparsely hairy, persistent; sporangia glandular . PENINSULAR: Chumphon, Nakhon Si Thammarat, Satun. Sri Lanka, S India, N Vietnam, Peninsular Malaysia, Philippines, New Guinea, Micronesia to Polynesia. Edge of streams near sea-level. Middleton et al. 5518, Nakhon Si Thammarat, Khao Luang National Park (E).